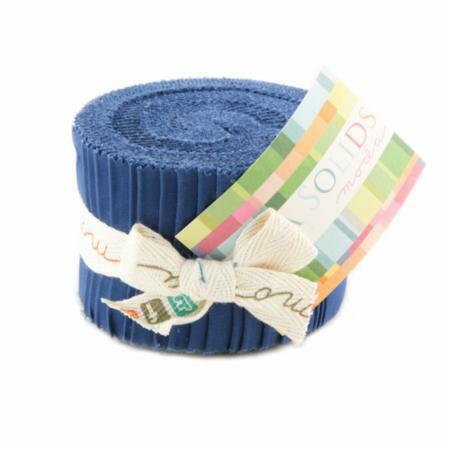 This Junior Jelly Roll consists of 20 pieces of 2.5" x 44" strips of fabric. These strips are all in the Blue color from the Moda Bella Solids collection. Perfect for making boarders on quilts and other various sewing or crafting projects.